Fog is nothing new to the quaint seaside village of Antonio Bay. But on the night of its 100th anniversary, a fog bank rolls in unlike any other. Eerie lights, dark figures, and the masts of an ancient schooner appear in the swirling mists, and soon the spectres of long-murdered sailors descend upon the town. Using knife, hook and sword, they exact revenge for sins committed by the town's founding fathers, leaving horrified survivors struggling to solve a hundred-year crime. And they must solve it - or die. Starring Adrienne Barbeau, Jamie Lee Curtis, John Houseman, Janet Leigh and Hal Holbrook. 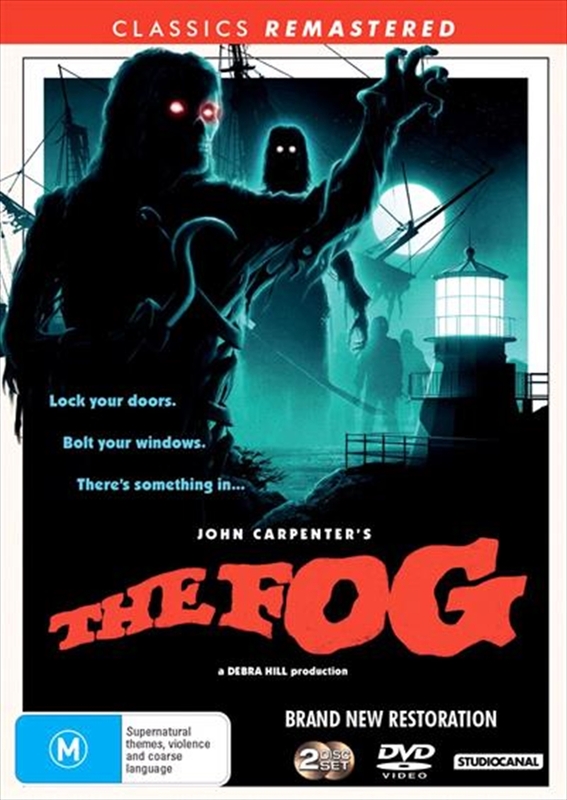 John Carpenter's THE FOG is classic horror at its terrifying best.